The Easter weekend brought with it loads of good food, plenty of out-of-towners and celebrations that lasted three days. Everyone slowly worked their way up to a Sunday afternoon feast, with a bit of egg hunting, dark chocolate Easter eggs, and lots of bubbly. On Saturday, the Madras Round Table 1 hosted a fundraiser for charity, a stand up comedy night at the Taj Coromandel featuring Shazia Mirza and Harith Iskander. The venue was packed, along with the usual pre-show a�?where am I sittinga�� dilemma, with most hoping to maintain a safe distance between themselves and the artistes. Someone commented that the front row seats might as well have targets on them. Turns out they were right, with more than a little good natured ribbing in store for everyone up front, courtesy both comics. Iskander opened the show drawing comparisons between India and his home country, Malaysia, including the phenomenon of the a�?one tight slapa�� and his childhood growing up half Malay-half British. Shaziaa��s background turned out to be just as interesting, with her being a Brit from Birmingham, of Pakistani descent. Her act drew quite a bit from her own experiences, the trials of being single, and everyonea��s obsession with the royal family. 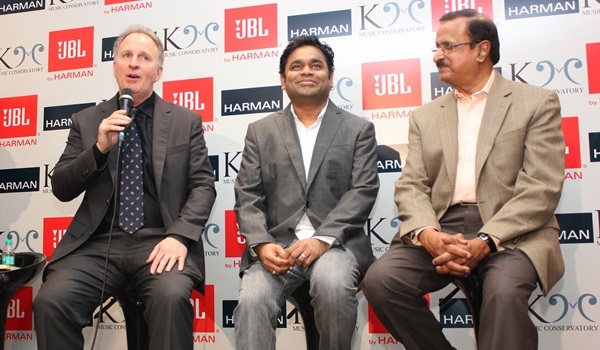 The weekend also saw KM Conservatorya��s annual concert, Opera Scenes, presented by Harman, along with an exclusive press conference. Featuring performances by their resident ensembles a�� from Sufi to their chamber choir, along with solos by the top students a�� the event saw a mixed audience. The swarm of press, of course, was all thanks to AR Rahmana��s presence and the big announcement of KMa��s association with the Berklee College of Music. The institution announced the launch of a scholarship in Rahmana��s name, continuing their collaboration with him. In a rare public appearance, the Sunshine Orchestra, an outreach programme aiming to keep acoustic orchestral tradition alive, was also incorporated into the show, acknowledging the support from Harman. Winding up the week was the relaunch of Lotus Thai at The Park. Fans and long time guests of the now 13-year-old restaurant, lined up to check out both the new venue and menu put together by Thai master chef Kittisak. He walked everyone through the menu, pointing out that the focus is on balancing local ingredients with signature Thai elements.